SQL Stored procedure are the set of logically group of SQL statement which are grouped to perform a specific task. Stored procedure are better than the inline SQL queries as they help in securing the database from SQL Injection. It also help in increasing the performance of the Database. There are many other Advantages of SQL Stored Procedure which we are going to discuss in this article. SQL stored procedure is one of the most important concept of SQL Server. You can read more about the SQL Stored procedure and its various type from the article Sql Server – How to write a Stored procedure in Sql server. 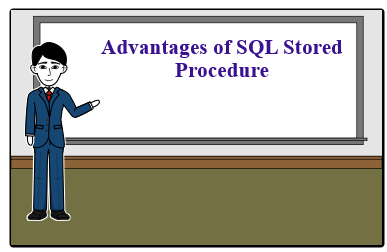 In this article, we discuss many advantages of SQL Stored Procedure.